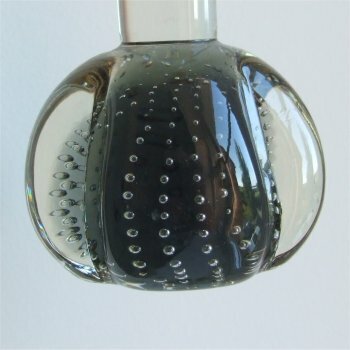 CZECHOSLOVAKIA These vases have round bases which have been formed into four lobes. 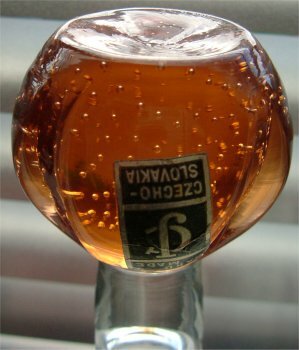 The base has a grey core encased in clear glass. 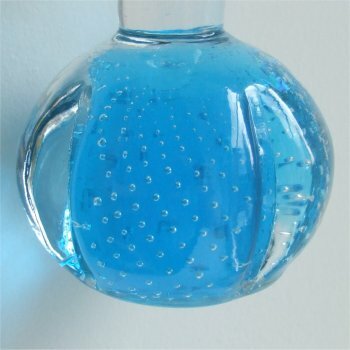 The bubbles are small and well controlled. 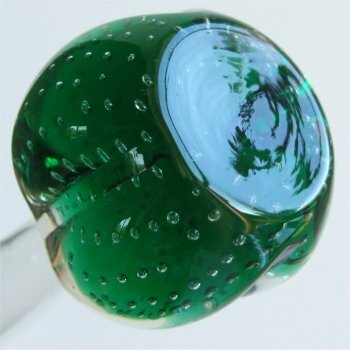 The bubbles in the taller one appear to come straight up from the base, but in the other two come up in a spiral. 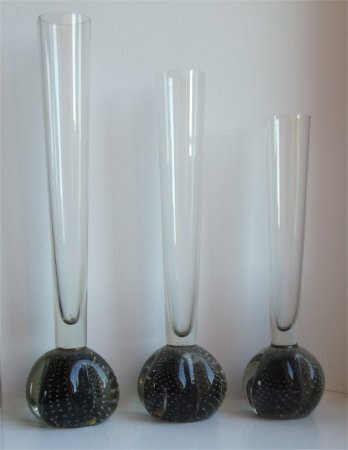 The tall vase is approximately 216mm (8 & 1/2") tall. The medium is approximately190mm (7 & 1/2") tall, and the small one is approximately 167mm ( 6 & 9/16ths ") tall. The stems are clear and have a medium flare. The tall and medium being approximately 28mm (1 & 1/8th") across. The small approximately 25mm (1"). The bottom of the bases have a slightly concave finish. (see images below). 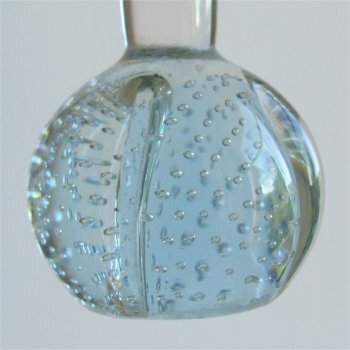 Similar shaped bases are also shown in the Portugal section, but these are less round in shape and are not encased in clear glass. 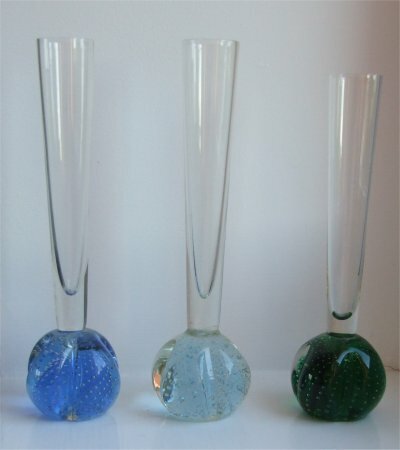 Below are more vases, a mid blue, and a very pale blue, both approximately 167mm ( 6 & 9/16ths ") tall, and an even smaller one in green being approximately 152mm (6") tall and 24mm (31/32 of an inch) across the stem. 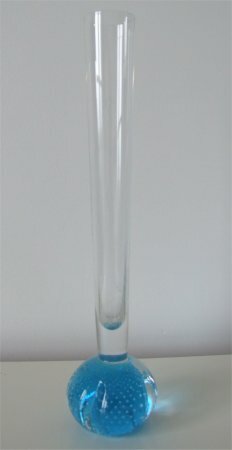 This turquoise vase is approximately 230mm (9") tall. 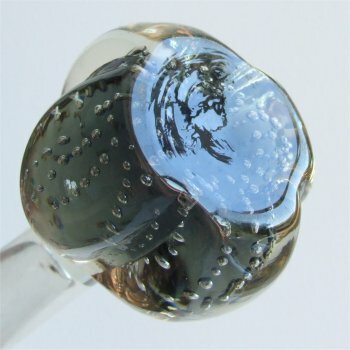 The base is a round ball which has been shaped into four lobes. 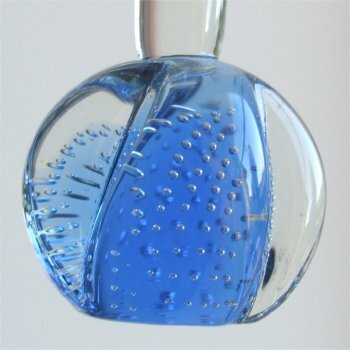 The base has a turquoise core encased in clear. The bottom of the base has a slightly concave finish. (see images below). 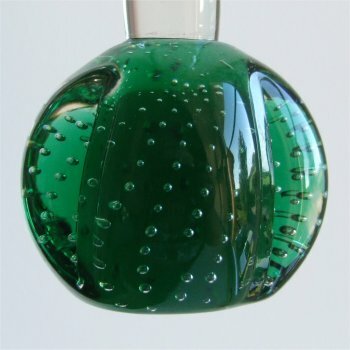 The bubbles are small to tiny and come up in a spiral from the base. 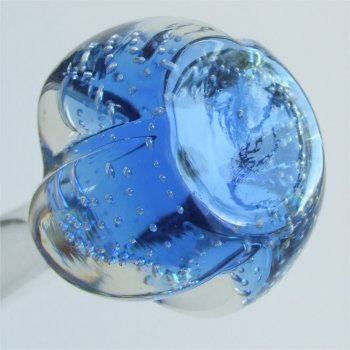 The stem is clear and has a medium flare being approximately 27mm (1 & 1/16th of an inch) across the top. 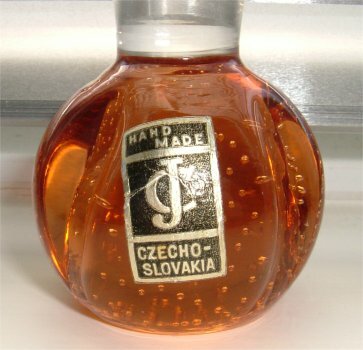 Below are some images of an amber vase sent by a fellow collector James McDermott with a label which states they were made in Czechoslovakia.